The ambience of Kalajyoti surrounded by nature - provides the perfect backdrop following the curriculum pertaining to the ancient method of the Guru – Shishya Parampara where the knowledge is passed on from guru to the shishya , through an intensive yet personalized process. The shishya not just learns the art, the style and the concepts related to it from the Guru, but also learns the devotional approach imbibing his vision for art in general life. The close relationship which is shared between the Guru and the Shishya develops feeling of love and respect , the key factor of Indian traditional performing art. 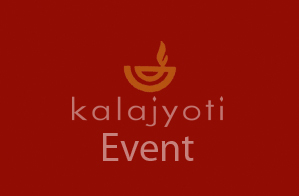 Hence learning in Kalajyoti – is a complete process of developing and realizing the harmony within the body, mind and soul - be it for the regular students or the visiting residential students from Abroad or other parts of India. Training are provided on Odissi dance form and allied disciplines like vocal ,music, yoga, instruments, dance theory,aesthetics, Stage presentation, rhythm , Sanskrit Language, and Mythology. Odissi, also known as Orissi (Oriya: ଓଡିଶୀ Oḍiśī), is one of the eight classical dance forms of India. It originates from the state of Odisha, in eastern India. It is the oldest surviving dance form of India on the basis of archaeological evidences. The classic treatise of Indian dance, Natya Shastra, refers to it as Odra-Magadhi. 1st century BCE bas-reliefs in the hills of Udaygiri (nearBhubaneswar) testify to its antiquity. It was suppressed under the British Raj, but has been reconstructed since India gained independence. Odissi has its origin in the Devadasi tradition, where it was initially performed in the temples as a religious offering by the 'Maharis' who dedicated their lives in the service to the Divine. The state of Orissa has a great cultural history. The rulers of the region built many magnificent temples, which became the centers of art and culture. It was around these temples that Odissi Dance was born. It remains a conundrum whether the dance is inspired by the timeless beauty of the temple sculptures, or the sculptures depict the celestial grace of the dancers. Odissi is considered as a dance of love, joy and intense passion, pure, divine, and human. Over a period of time three schools of Odissi dance developed, they are- Mahari, Nartaki, and Gotipau. The Mahari system traces its roots in the Devadasi tradition. The dance form of Odissi that developed in royal courts is called the Nartaki tradition. 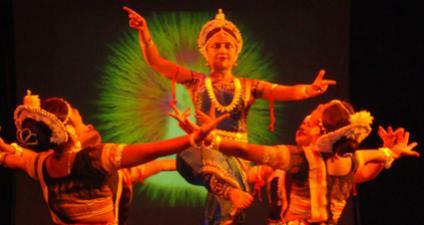 In the Gotipau tradition of Odissi dance young boys dress up in female attires and enact female roles. Hence Odissi is one of the most ancient, graceful, captivating classical Indian dance styles with its beautiful sculpturesque poses, charming gestures and sensuous bends of the body resembling the ancient carvings from the caves of Udyagiri and Konark Sun Temple complimenting challenging rhythmic footsteps. This dance form has evolved over centuries, yet it remains carefully preserved. The specialty of Odissi that distinguishes it from other forms of classical Indian dances is that its mood is in service to Lord Jagannath. Its basic postures are made in the image of Lord Jagannath (Chowka position) and Lord Krsna (Tribhanga position). The charm and aesthetics of Odissi dance are delicately interwoven with a unique lifestyle that unveils a profound and spiritually fulfilling experience for the artist. It is a spontaneous medium to absorb oneself in meditation on the ever enchanting pastimes of the Supreme Personality of Godhead. Because His pastimes are perfect, any emotion experienced while performing His pastimes is so blissful and heart touching for both the audience and the performer. This special exchange of bhava (sentiments) renders Odissi a very graceful way of sharing spiritual bliss with audiences of all types.